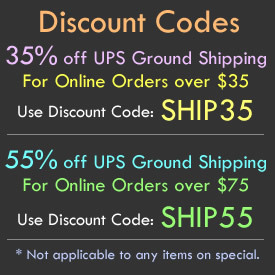 - 3 piece Flameless Candle Set with Remote! 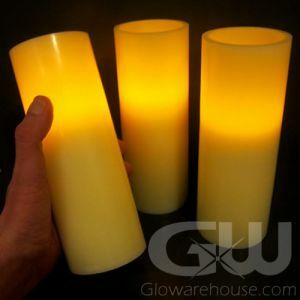 - Includes 4", 5" & 6" Pillar Style LED Candles! - 12 Bright Color Settings! - 3 Different Light Settings: Steady, Flicker and Rainbow Color Change! 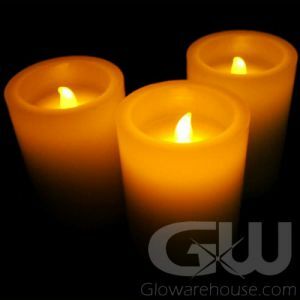 - Use anywhere real flame candles are not allowed! With 12 different colors and 3 different light settings to choose from, there's a whole world of glowing possibilities with our 3 Piece LED Flameless Candle Set! 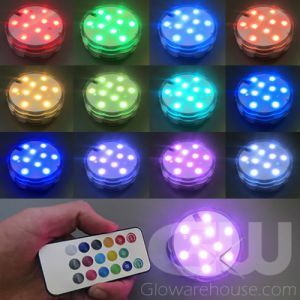 The set comes with one 4 inch LED Candle, one 5 inch LED Candle and one 6 inch LED Candle and includes a Remote Control to set the candles to your desired light setting. 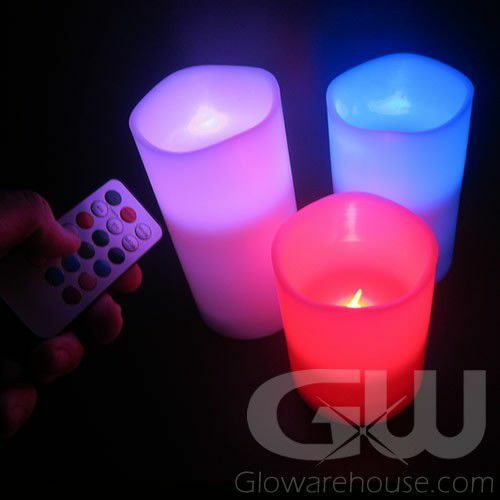 The remote control controls the color and light settings of all 3 flameless LED candles - you can set each candle so that it shows a different color, or have all three candles set to the same color setting. 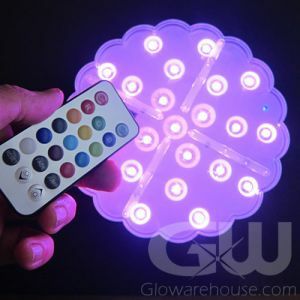 Each LED candle has 12 separate color settings and three light settings including a steady light setting, a flickering light setting and a rainbow color changing light setting! You can also set the timer so that the candles turn off after either 4 or 8 hours of use. Or just turn them on and leave them on and your candles will glow for a minimum of 12 hours, giving you plenty of time to decorate and set up for your event and plenty of time to celebrate too! The wide array of color settings gives you a whole world of decorating options - let's see a regular candle do that! 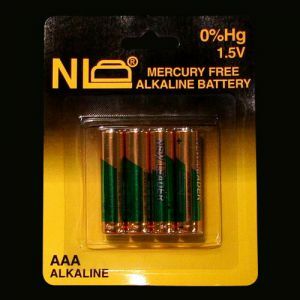 And because these candles light up with a battery operated LED light instead of a flame, you can use these candles where regular candles are not allowed! 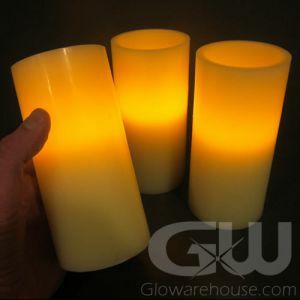 So light up your world with 3 Piece LED Candles sets from Glowarehouse.com!